ST. NAZAIRE, FRANCE -- Shipbuilders have delivered the world's largest cruise ship, which is preparing to set sail next month. Measuring in at a staggering 1,187 feet -- larger than the Chrysler Building -- Royal Caribbean's mammoth Harmony of the Seas took 32 months and more than $1 billion to construct. 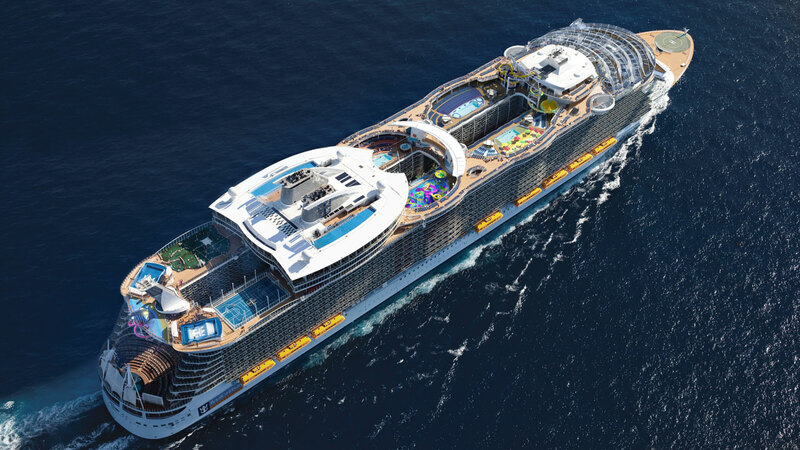 A 10-story water slide that is reportedly the "the tallest slide at sea"
When it sets sail on its maiden passenger voyage from Barcelona on June 7th, Harmony of the Seas will require a 2,100-person crew. "Harmony of the Seas is the product of our zealous spirit of continuous improvement, where we have combined revolutionary ship design with the technological strides that have defined the Royal Caribbean brand," Richard Fain, Chairman and CEO of Royal Caribbean Cruises, said in a statement.